Some people can assume that looks aren’t everything when it comes to good vaping, but apparently, Laissimo has adopted another strategy. When you visit their website, a futuristic rainbow flashes right in your eyes. You guessed it, that’s the new Laissimo Defender box mod with a fancy zinc alloy surface. Let’s check it out and see if the showing-off style matches the insides. When I first saw the Laissimo Defender I had a dejavu feeling. What, does it fully resemble their previous model, Laissimo Spider 200W? Yes, it is, but wait. Looking at it, you can also think of the Wismec RX 200. Oh, and the Smoant Battlestar. I mean, with the new vape mod coming out you expect something more considerable than a change of a pattern design on the mode that’s been successfully (or not) copied from another brand. Even though, I didn’t have a chance to review the Laissimo Spider box mod. And the Defender 200W seems to have all bells and whistles, so I couldn’t wait to see how it vapes. And you get all of those only for $50, which is kind of suspicious. On another website, I saw it for $29.99. I didn’t hear much about the Laissimo brand in the vaping world, and their ‘About’ section on the company’s official website is snow-clear. Some reviewer mentioned that Laisimo is a Sigelei’s daughter, but I’m not sure about that. You might have already guessed the country of manufacturing. So let’s test the chinese quality down here. At the end of the day, Sigelei has some pretty good devices to vape, so why not give a chance to another asian vape brand. So the Laisimo Defender box mod is pretty basic. What you get is the box mod itself, a user manual with some instructions and warnings, and a Micro USB Cable. The mod is the star of this show. A lightweight zinc alloy is 510-threaded and is compatible with any tank that you like with that kind of connector (preferably up to 25 mm in diameter). The gold-plated and spring-loaded 510 pin is installed into the mod. There are a lot of ventilation cutouts for the batteries, which is a plus to the Laisimo Defender. The linear industrial design actually helps to grip the device. The colors of the unit are unique, unlike the shape mimicking other brands box mods.The trendy chromatic rainbow, Unicorn purple, Copper and Rubber Black look pretty unique, and there’s a chance that you’ll make thunder among your vaping friends with one of these. The OLED screen seems to be wide enough. The firing button is situated on the upper side, and the wattage up and down ones are placed lower. All the buttons are made of sturdy plastic and placed quite firmly. They sit on the same level with the surface, and thanks to the difference between the cold zinc and the matte plastic texture you can adjust your vape intuitively. Even though, you might want to look at the colorful screen showing all the info. The biggest numbers are Wattage or Temperature Control, and I don’t know whether you would like to read those tiny numbers showing voltage and resistance, as long as it set automatically when you choose the main setting (VW or TC). The two-battery slot for any of your 18650’s has a protection surface inwards. The magnetized cover is easy to use, fits close and never rattles. The gold-plated battery contacts are spring-loaded at the bottom. By the way, you won’t be able to turn on the Laisimo Defender with only one battery inside. To use it, you necessarily need two items of 18650. As long as the Laisimo Defender box mod is so massive with two 18650 batteries and the maximum of 200W output, I didn’t experiment with lower power settings. When I chose a Power Mode, I clicked the Up power button all the way to the top option of 200W. Of course, nothing else was adjustable, and I was left with the automatic Voltage and Resistance output. The Laisimo Defender produced clouds of vapor in this mode. Literally, there was a thick storm cloud that made my room disappear. I liked the visual effect, and the vapor was very warm. As for the flavor, probably my e-juice was a little bit overheat, that’s why the taste was a tradeoff. I noticed the sweetness, but all the undertones, hints and notes were gone. Then I switched to the Temperature control mode. Expectedly, I couldn’t adjust anything else, aside from temperature. Surprisingly, even on the highest degrees, the power output wasn’t good enough. All I got was a lousy amount of a basically cold vapor. The taste wasn’t too good either. So, probably, the temperature control is not the strongest side of this device. The OLED screen is bright enough, that’s why I didn’t have any issues using the Laisimo Defender outside. The menu shows a whole bunch of things (in case if you need them). I decided to put them all on the list. 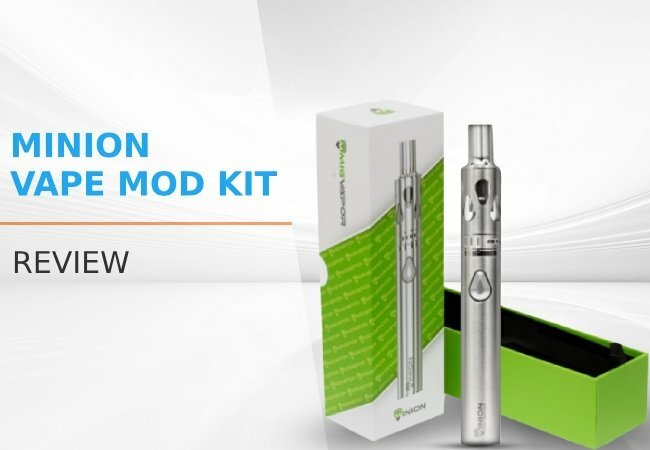 Three rapid clicks will take you to the main menu, where you can choose temperature control modes for different types of coils: Nickel, Titanium, Stainless Steel, TCR. Also, there’s a Memory Mode (where you can save your optimal settings), data reset function and help button. Operating buttons is easy. Five clicks to turn on/off. By holding the firing button and the up power button at the same time you lock and unlock the device. This combination also lets you put the device in standby mode, and vape it with holding a firing button. The USB cable is suitable not only for charging but also for the firmware update. Note that the manufacturer recommends using separate chargers for the batteries. The funniest thing that there is NO firmware updates whatsoever. So if you’ve been wondering during all this review what’s the difference between the Laisimo Defender, Laisimo Spider, and say, Smoant Battlestar (also chinese)… There’s none. Except for the slightly bigger screen of the Defender and Spire comparing with the Battlestar. Everything else, even kinds of modes that you can adjust – are the same. Even though, the Laisimo Spider seems to be out of stock, because it’s not listed on the company’s website anymore. Maybe, copyright problems? Who knows. There was a lot of expectations with the Laisimo Defender. Then there was a BOOM! 200 Watts, and that’s all. The power mode of the Defender is good, but all the rest didn’t impress in terms of good vaping. As for looks, it’s fabulous. The quality is decent, and the screen is convenient to use. The fact that this is a copy of something else does put off my intention to take it somewhere with me. Because, what would people say? I give the Laisimo Defender a 6/10. The Kanger Wakizashi is a new entry into the pod mod market that has yet to come out but promises to deliver a superb MTL experience. Read our preview here. Minion Vape Mod is a small concealable mod that offers great vaping experience, yet is not too complicated. Consider Mig Vapor's Minion Mod. My laisimo defender the screen keep going all white and you cant adjust anything and its only about 8 months old.